Welcome on our website. 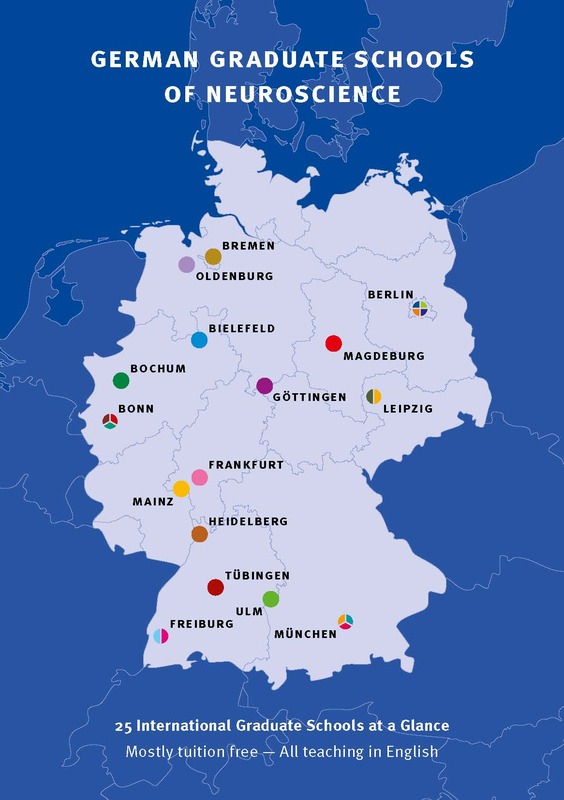 We represent a selection of German neuroscientific graduate schools and provide information of 21 international programs at a glance. The most relevant content of each program is available in this brochure. You can find us regularly at our information booth at SfN and FENS. MSc/PhD "Behaviour: From Neural Mechanisms to Evolution"